USET 2019: Uttarakhand Online Form, Notification, Exam Date, Eligibility (यूएसईटीई 2019: उत्तराखंड ऑनलाइन फॉर्म, अधिसूचना, परीक्षा तिथि, पात्रता): In accordance with the guidelines of the U.G.C., the Kumaun University announces holding of the USET Exam for determining the eligibility of candidates for appointment of Assistant Professors in the State of Uttarakhand. Kumaun University will conduct U-SET in 27 subjects at 11 selected cities of Uttarakhand. Applicants must complete the USET Online Application Process till the last Date. This is a great job opportunity who is that candidate who is searching the Teaching Jobs. You can also check the Kumaun University USET Notification Details From here. Latest Update: Uttarkhand Board is going to announce the Uttarkhand SET Notification 2019. Interested candidates can check all the details from here. Kumaun University Nainital has released the Uttarakhand State Eligibility Test Notification for appointing the well skilled and qualified candidates to the vacant posts. Candidates are invited to apply for the Assistant Professor Posts through the Application Process and the USET Application Form. Applicants are informed that the Exam will be conducted at various exam centers across Uttarakhand State. So candidates can choose the Exam Centers according to their choice. Here we have shared the complete details about the State Eligibility Test such as USET Eligibility, Application Process, Age Limit, Application Fee, Exam Date, and more information. The USET 2019 Online Form is available on USET with a link at Kumaun University Official Website. Candidates have to fill up the Application Form Online Mode Only. Application Submitted in any other form will not be accepted. The USET Application Form Last Date. Before applying, candidates must need to check the Eligibility Criteria from here and also get Government Jobs Notification details. 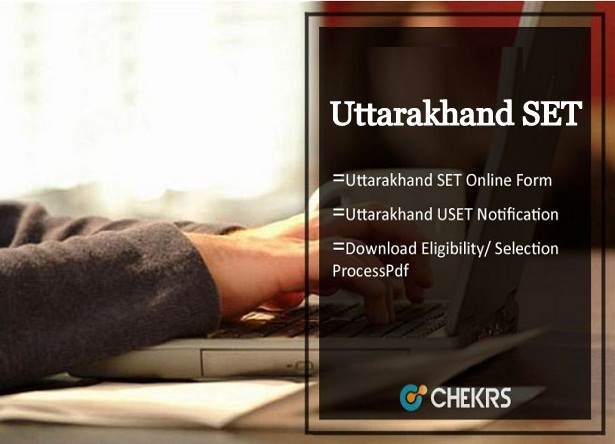 Uttarakhand USET Notification details are available here. You can check the Application Form starting, Last Date, Fee Deposit dates, Exam Dates and more information. Before looking at the details of the examination, candidates must check the important dates for USET 2019 that is given below. The candidates must have Master’s Degree recognized by U.G.C. Candidates who have secured at least 55% marks (without rounding off) in Master’s Degree OR equivalent from universities/institutions recognized by UGC and State Government are eligible for this Test. There is no age limit for appearing in U-SET 2019. Candidates who are not domicile of Uttarakhand State have to pay Rs. 1000/- as Fee irrespective of their Category (SC/ST/PH/VH/OBC/GENERAL). First off all candidates must deposit the Application Fee. After deposit the Application Fee, Candidates will receive the Bank Transaction ID. Applicants click on Apply Online button and enter the Transaction ID & Date of birth Details and click on submit Button. After completing the Application form, you can take print out for the further uses. Kumaun University has set the eligibility criteria for the UTET 2019. The candidates must be eligible to apply for the examination. To receive more updates on USET, keep visiting our site www.jobs.chekrs.com. In case of any query or review place, your valuable comment in the commenting section below and our team will revert you in a short while.